It’s taken me forever to write this, but I really can’t NOT post about the Intuition Ale Works beer-pairing dinner I attended at Chew Restaurant a few weeks ago. The dinner was well over 90% locally sourced! That’s not often accomplished at fancy dinners here in Northeast Florida since the growing seasons are wonky and we don’t have much of a, ahem, wine industry here. But for this dinner at Chew, the brews were locally produced at Intuition Ale... the produce was sourced from East Palatka’s Fresh Harvest Farm… and the meat was from Fresh Harvest’s sister Black Hog Farm… triple yay. 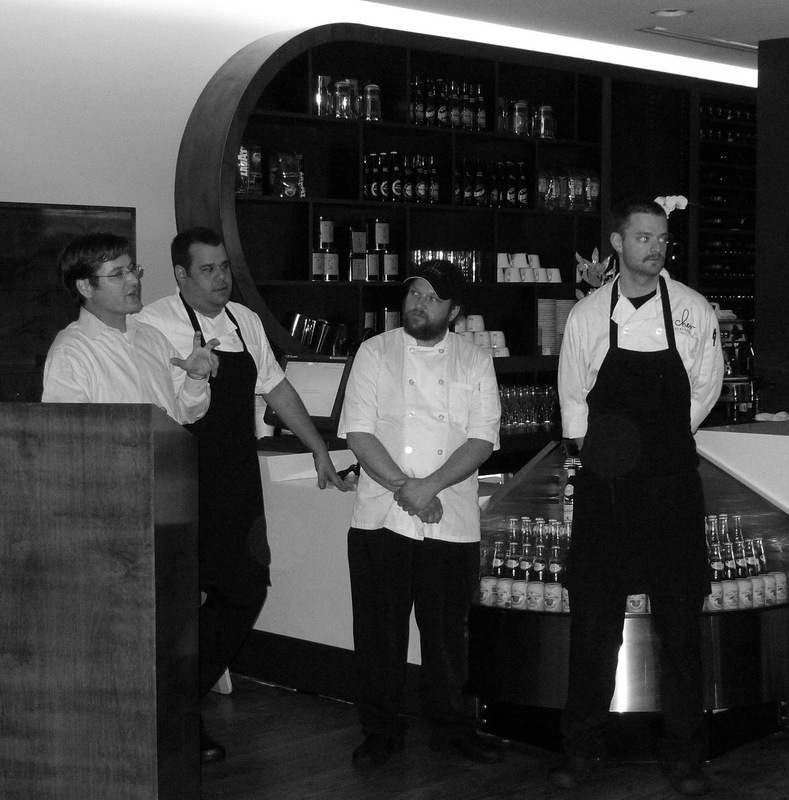 Chew’s chefs reviewed the menu with guests and talked about how the beers guided the dishes on offer. Luke, a representative of the farm, talked about their new Farm to Door memberships - fresh produce, eggs, and meats delivered to your door! More info here. 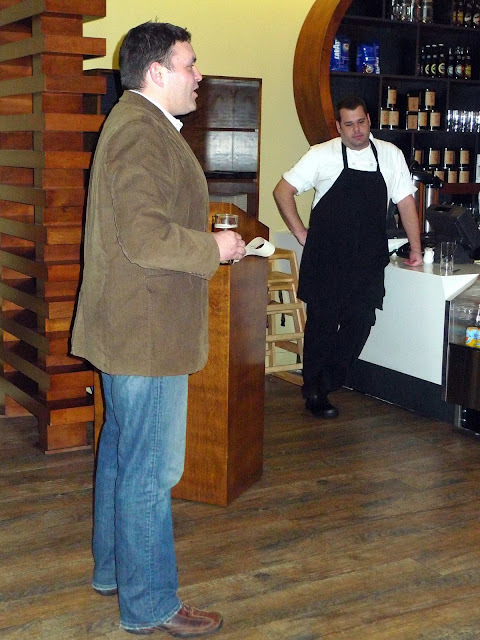 We also got to hear Brewer Ben Davis of Intuition Ale talk about the brews on offer. The dinner started with a light and sophisticated trio of local seafood. I worked from left to right across my plate, first savoring the cured St. Augustine snapper. The snapper was impeccably fresh and accented by cracked coriander seeds and citrus zest. 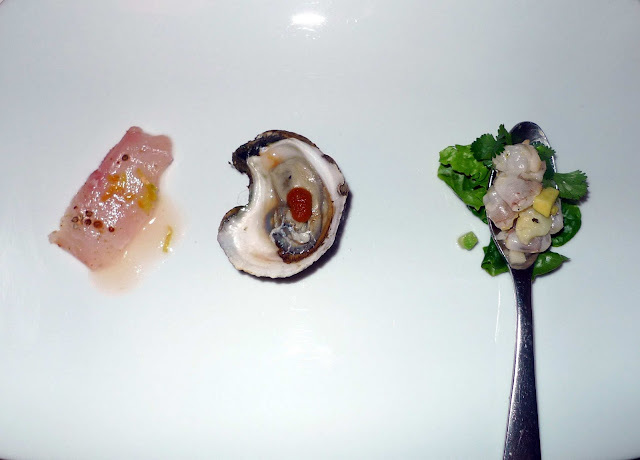 The citrus-smoked Appalachicola oyster provided a nice counterpoint to the lightness of the other seafood on the plate; it was briny and smoky and topped with a mini dollop of pureed kimchi. I finished the plate with a spoonful of Mayport shrimp ceviche, cauliflower, apple and cilantro leaves. Although the preparations were quite diverse, all three seafood selections paired brilliantly with Willow Branch Wheat. The next dish was my favorite of the night: oeufs en meurette. Because it was poached in red wine, the farm egg took on a purplish sheen that was punctuated by a bright orange yolk when I punctured it with my fork. The yolk oozed all over the potato confit and frisee and mingled perfectly with the slightly bitter Shotgun Shack vinaigrette and salty, lightly house-cured Black Hog Farms ham. Paired with – of course – Shotgun Shack Black Rye Ale. The Shotgun Shack is dark in color but surprisingly light on the palate, making it an excellent beer for pairing with food. And at only 5.5% ABV it’s eminently drinkable. 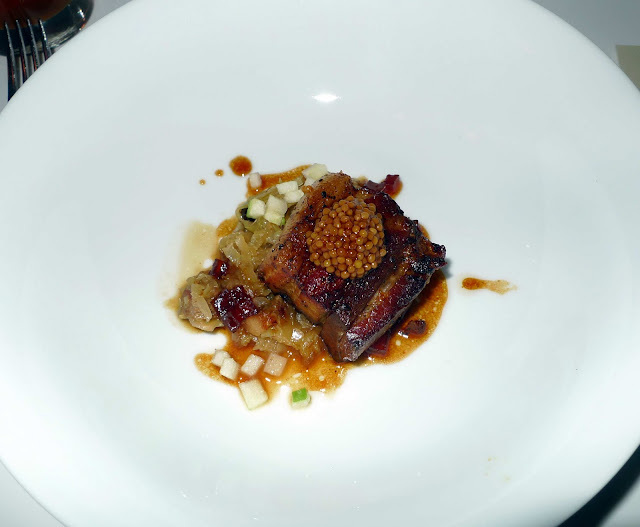 Or wait a minute… maybe the Black Hog Farm pork belly was my favorite dish of the night. This was no ordinary pork. This pork had a name – Pickles – and he was a very spoiled little piggy. He was lovingly cured overnight in salt and sugar then roasted until he was caramelized and oh-so-tender. He was served with house-made sauerkraut that had cured in the kitchen for five weeks. Pickles was topped with pickled (?!) mustard seeds and was resting in a delicate candied apple gastrique. Pickles was a pig that had it all. He had sweet, he had sour, he had salty. He had me at hello. 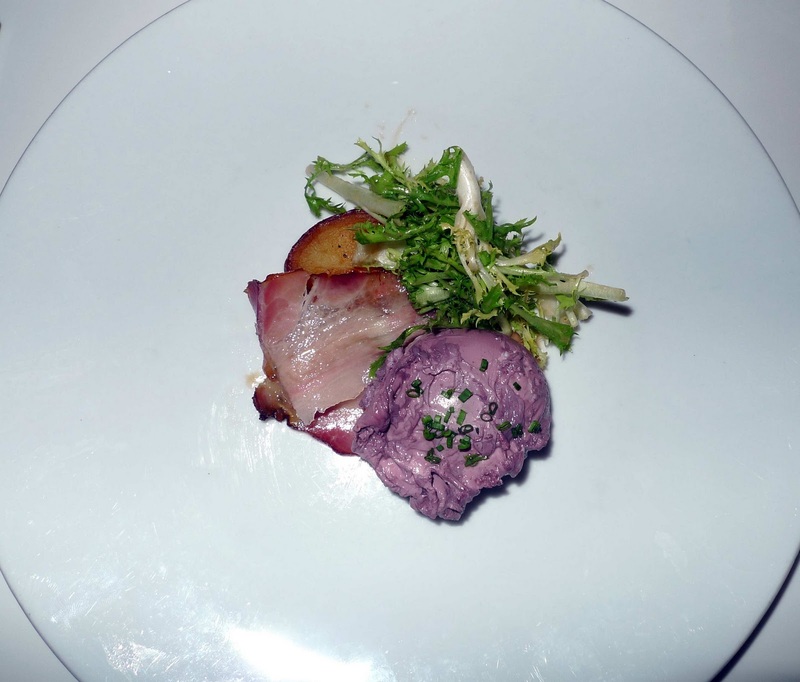 Jonathan Insetta said the beers really guided the direction of the meal and this Alsatian-inspired dish was a great example of that. The juniper berries in the sauerkraut and the slightly sour fresh apple cubes accenting the dish paired impeccably with the People’s Pale Ale. The last savory dish was a creative take on chicken. It was a chicken sandwich. But not the kind of chicken sandwich you’re thinking of. The chefs has sandwiched a boneless piece of Black Hog Farms chicken thigh between two pieces of chicken breast meat. They used an enzyme called Activa which apparently has a nickname of “meat glue.” Mmmm, meat glue. Playing with this molecular gastronomy stuff is something Chew doesn’t normally do so I was happy when I bit into the chicken and was greeted by a tender, homey piece of meat. They didn’t used Activa to be gimmicky – it held the pieces of dark and light meat together so I could get the best of both worlds in every bite. 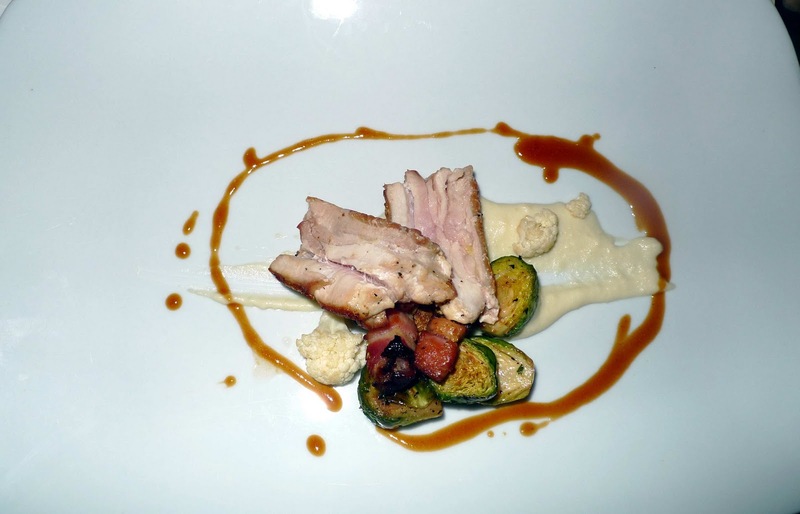 The chicken was served with roasted Brussels sprouts, house made bacon lardons, and pickled and pureed cauliflower. Another favorite, perhaps? Just how am I supposed to choose? Plus this dish was paired with my favorite Intuition Ale brew: I-10 IPA. Another reason I loved the oeufs and chicken dishes so much is because there’s a fun little circle of life involved. You see, Black Hog Farms uses the spent grain from Intuition Ale’s brewing process to supplement the feed for their chickens. And we were being served those very chickens and their eggs for dinner. No wonder they paired so well with the beer! 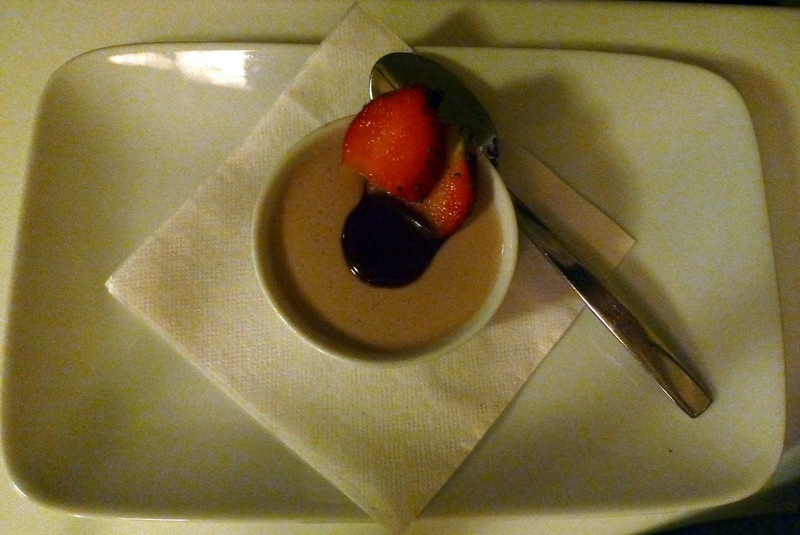 Chew ended the meal with a King Street Stout panna cotta with stout chocolate sauce. Chocolate and stout is a classic pairing for a reason. This was a killer dessert. One of my favorite things about the menu was the kitchen’s ability to integrate a huge variety of textures and flavors into each and every dish. They weren’t afraid to use pungent spices like coriander and juniper berries in unexpected ways, and accents like pickled mustard seeds and pureed kimchi took each dish to the next level. That attention to detail, willingness to experiment, and understanding of the way flavors interact with one another is what makes the difference between a great restaurant and an excellent one. 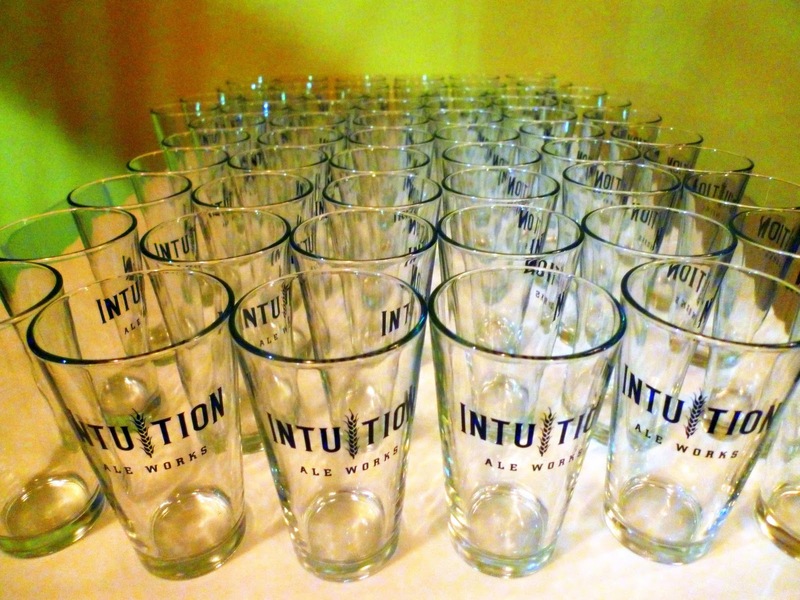 This was the first beer dinner associated with Intuition Ale. Many of you probably know I work at Intuition Ale and I can only hope our future dinners live up to the impeccably paired feast created by Chew! Chew is doing another beer dinner on Mar 7th or 9th so call and reserve if you're in town!!! Meat glue! Genius. Pork belly, pork belly - my hubby's favorite in the world. Thanks for sharing this, had NO idea Chew was doing this! SOOO the next date night. It would be under "About Us"
Mmmm! This all sounds so delicious! This is so random, but I found your blog while searching for great Asian markets in Jacksonville. I was excited to find this post about the dinner at Chew. I had really wanted to go that night but couldn't make it work. My family and I love Fresh Harvest Farms and enjoy their weekly produce delivery. In fact, I picked up my weekly produce at Intuition Ale last night, and I told my husband we have to go there some time very soon. It looks like such an awesome place! 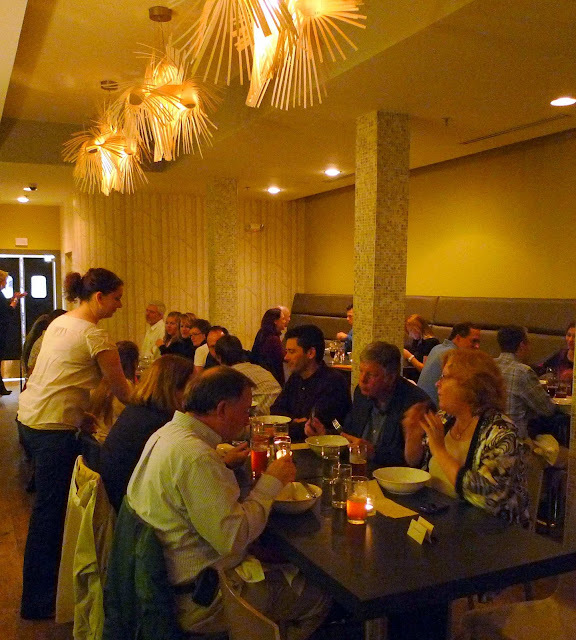 I'm loving all of the growing interest in local food in our area!